Ha Giang is the most romantic province for couples. Do you know Vietnamese backpackers said that “Any couples will fall in love with each other if they together set foot in the northernmost land of Vietnam”? There is not only majestic landscape, Ha Giang is also a home of many beautiful Buckwheat flower fields – a flower of endless love. Let’s come and write together your “love song” on the “rocky plateau” by yourselves! If you ask us where is the best place to visit in Vietnam, we would like to choose Ha Giang province. 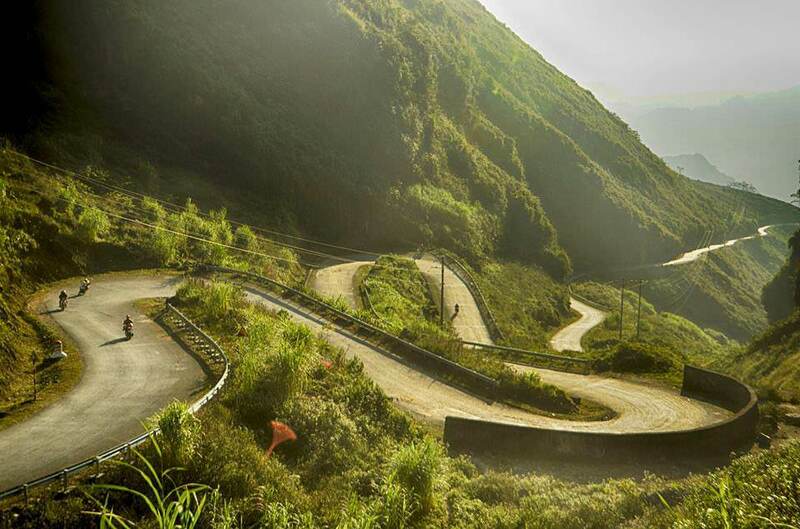 If you ask us whether Ha Giang is beautiful to admire ? My answer is Ha Giang is not a beautiful scene, Ha Giang is an art painting. Ha Giang is the northernmost land of Vietnam. Nature lovers or explorers are easily enchanted by its panoramic views over terraced rice fields, majestic passes, forested limestone granite mountains, caves and gorgeous rivers. We also don’t know when the dreamy pink of tiny flower forest become the specialty of the northernmost land. The pure beauty of the flower dazzles flower lovers. Buckwheat flowers bloom from October to November. Buckwheat flowers stretch across the hills, the ravines, the fields stretched like the Bluebonnet flowers in Houston. On the S-shaped map of Vietnam, Ha Giang is the northernmost point of this map. Therefore, the journey to Ha Giang is certainly not simple and easy to go at all. The bus journey from Hanoi to Ha Giang takes about 7-8 hours for more than 300km with one mid-way stop. You can travel to Ha Giang city by bus and then hire the motorbike to visit some travel sites in Ha Giang as well. From Hanoi, you can catch buses leaving the My Dinh bus station (away 10 km, 6 miles west of Hoan Kiem Lake). The early buses start at 5.30AM and the last buses at 9:30PM. Buckwheat flower is a kind of wild flowers ? The answer is “No”. Buckwheat is a kind of flower grown by ethnic group people rather than wild flowers. There are two types of buckwheat flowers. You can find the white type in areas of Cao Bang. Meanwhile, in Ha Giang, people often plant the purple buckwheat flower. With time, they will start to change color from white to purple pink, and finally dark red. The time they change to purple pink color is the best time to admire. The local people often take the buckwheat flour to make rice, porridge, noodles, breads, pancakes, cookies, cakes or they use grains mixed with corn kernels to make the wine to create a unique flavor for many specialty wine such as Ban Pho (Bac Ha), Nam Pung (Bat Xat) Si Toan (Si Ma Cai) … there are some places using buckwheat as trunk for raising cattle. The flowers are also used for manufacturing a dark brown-colored honey that is quite strong in flavor. At the end of the season (often in December), the locals harvest them. However, due to its lower yields than maize and rice, the area was not enlarged. It was not until social networks began to show off this beautiful landscape to tourists. Nowadays, Ha Giang authorities decided to increase the buckwheat fields to attract more visitors as possible. The locals mainly plant Buckwheat to serve for tourism development and they can make a little more income for their livelihood from it. The best time to see? Buckwheat is typical flower of northern mountainous provinces such as Lao Cai, Cao Bang, Ha Giang. However, they are only planted the most and they blossom the most beautiful in Ha Giang. Every year, Buckwheat flowers bloom from in the early October to the end of December. Flowers are blooming and have the best color in the end of October r and then become most stunning when November comes by. In April and May, there are also Buckwheat flowers blossoming with white color, but the color is not as beautiful as the flower blooming in the autumn with small white pink. What to wear for Ha Giang? Remember to also bring a warm jacket. During Buckwheat season, the winds get quite chilly and the It’s often cold at night. So a good windbreaker will be present at your preparation-list before traveling. Many places in Ha Giang such as Sung La, Dong Van, Pho Cao, Ma Le, Lung Cu, Ma Pi Leng pass, Xin Man, Thach Son Than… The areas of Lung Cu, Dong Van, Sawa is the place that Buckwheat blossoms a lot! Sung La Valley – is the most beautiful Buckwheat flower sight in Ha Giang. Do not forget to visit “the house of Pao”, which appeared in the Vietnamese famous movie or you can also attend the busy local market on Sunday morning with H’Mong ( a local hill tribe of the North). Dong Van Valley – the global geological plateau, you will see colorful Buckwheat flowers blossoming everywhere from white to purple pink, and dark pink. Lung Cu Flagpole – The flowers are grown in extremely eye-catching terraced fields giving tourists the most unforgettable scene of their life. Along the way from Dong Van to Lung Cu flagpole, there are also many small garden planted with flowers. Pho Cao – This is where the most number of flowers are, the flower gardens along the side of the road. Pho Bang – known as the forgotten town of Ha Giang, which contains many centuries-old houses. 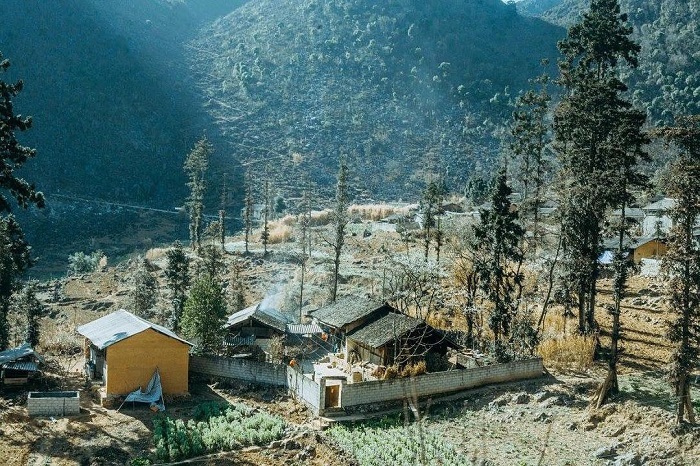 Lung Tao – The Buckwheat flowers of Lung Tao are scattered on the hillside. If you want to see the flowers, you have to climb to the high mountains. Ma Pi Leng Pass ( The king of Vietnamese passes ) : the buckwheat field lies between two mountain ranges. This is the ideal destination for tourists who want to visit, admire the stunning natural landscape. Ticket price: VND10,000 / a person. The festival will be hold in November 23th, 2018. The buckwheat blossom festival is a unique tourist feature for Ha Giang. This annual festival has been attracting flower lovers, couples as well as photography enthusiasts year after year. The tourists also often said that “You should go to Ha Giang, at least once in our life.” And then laughed, “Who ever came to Ha Giang once, they will be lovesick of this place, where is also known as blossoming flowers on rock “. Come here to fully immerse yourself in the beauty of the Dong Van rocky plateau, to conquer the majestic Ma Pi Leng pass – known as the “king” of Vietnamese passes. Visitors can admire the full of romantic buckwheat flower hills, also discover the cultural life of ethnic groups at Ha Giang. What about you? Do not hesitate anymore. See you in Ha Giang Buckwheat flower season! !